Macomb County Executive Mark Hackel focused on regionalism in his State of the County address Wednesday night, repeatedly pointing out Oakland County Executive L. Brooks Patterson, Wayne County Executive Robert Ficano and Detroit Mayor Dave Bing in the crowd. He at one point presented a gag billboard image featuring a photo of Patterson with the county's "Make Macomb Your Home" logo on a big screen during the speech at the Macomb Center for the Performing Arts Center. "Macomb has always been supportive of regional assets, the Smart transit, Cobo Hall, the zoo, and most recently, the Detroit Institute of Arts," Hackel said, referring to the August regional vote that approved a DIA millage allowing free admission for area residents. "I can't thank the voters here in Macomb County enough for recognizing the value that this brings to Macomb County." He also spoke in favor of Detroit-area transit. Legislation creating a regional transportation authority that would spur a number of major transit projects cleared the Senate last week, but is being held up in the House by Democrats using it as leverage against a right-to-work bill. "There's still one piece missing," Hackel said, "and that's regional transportation. Moving masses of people around the region is a necessity to be competitive globally. We desperately need a plan and that's what regional transit will provide us.  Macomb County is on board and so are our regional partners, as well as this governor." Hackel, a moderate Democrat who has at times been rumored for a gubernatorial run, also highlighted successes in economic development and education. He said the county has secured significant job-creating auto and defense investment in the past year. And Michigan State University's College of Osteopathic Medicine's will graduate its first class of graduates from its Macomb campus in the spring. "These will be the very first medical doctors who have taken all of their medical courses right here in Macomb County," Hackel said. "... During any given semester, there are over 40,000 students pursuing higher education opportunities right here in Macomb County." He also talked about a number of large upcoming events that could bring national attention to the area, including a professional canoe race on Clinton River, a bass fishing tournament on Lake St. Clair and a Lady Antebellum concert at the reopening Freedom Hill Amphitheater.